UK fibre network operator and cableco Virgin Media has added cellular player Three as the latest wholesale partner for its wifi on the London Underground service. 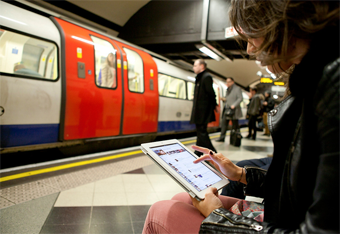 By the end of July, Three customers will be able to access wifi at over 144 Tube stations for no extra cost. The deal means every UK mobile operator is now a wholesale partner for Virgin Media’s wifi service and the vast majority of Tube passengers can get online in ticket halls, down the escalators and on platforms in connected stations. With the Three InTouch app, which supports IP voice calling, Three users will also be able to make and receive calls and texts when they are in wifi enabled London tube stations, Three said.